A new Billion Dollar industry has opened up – Mobile Marketing! 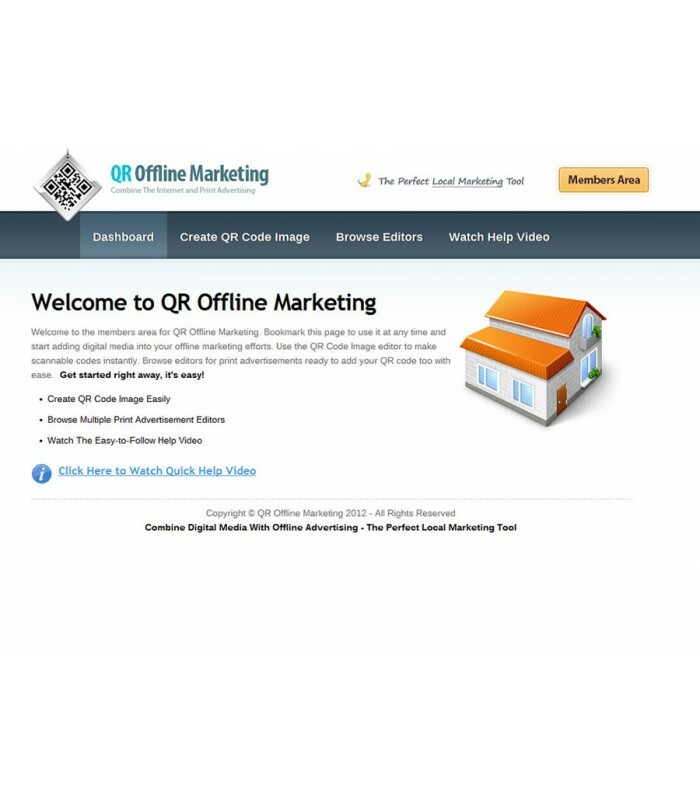 Combine that with your offline marketing efforts and you will increase your online traffic and leads from advertising offline and redirecting to website via phone! You have just found your local marketing secret – this tool will help you create offline ads that are embedded with your QR code with instructions how to print and effective techniques on advertising uses in your area! Simple. Local and you can Do-it-Yourself all with the power of this one simple tool to create QR Offline Marketing Advertisements that you can create on the fly without any effort. It’s all built-in and easy to use. Harness the power of smart-phones through the very popular QR Codes (a scannable code that will redirect your leads to your website or video). It’s very simple and all the advertisement editors utilize the power. Use the built-in Flash editors to create offline ads. The flash editors allow you to change the text, border, arrows and upload your own custom QR code image (there’s an editor for that too!) It’s flexible and easy-to-use!